Analysis Results (based on the large portion an 8 oz chicken breast). 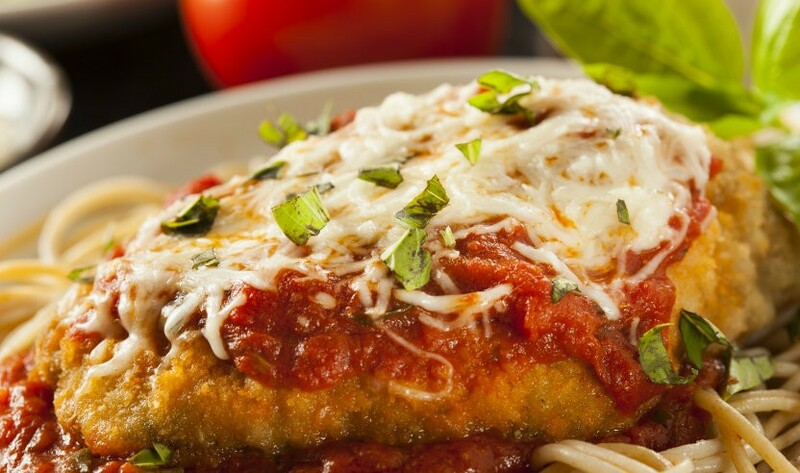 Your favorite Italian dish made a little lighter. You can purchase this item several different ways. This Parmesan Chicken is so good it takes care of any Italian craving i may have and leaves me never wanting the fried, unhealthy, heavy version of it. If I have time, i like to heat it up in the oven and it gives it a slight “toasting”. 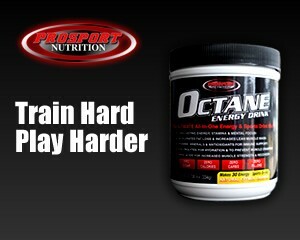 A must try if you have never ordered. I love the Parmesan Chicken with pasta marinara. 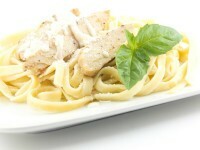 It’s delicious and is a much better alternative than the 1,200 calorie version at Italian restaurants. If frozen, thaw the container for two days in the refrigerator and then heat in the microwave for 4 minutes at 50% power. Perfect! Love it!—sprinkle with water, cover with microwave cover, heat, transfer to plate and serve………….chicken is so very tender and the marinara sauce is fantastic. It’s one of our weekly staples. 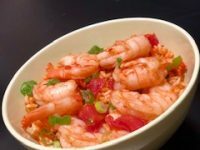 Very spicy, yet leaner version of this Cajun dish. Our latest addition to your favorite comfort food made lower calorie and low fat. A traditional classic made in an untraditionally lean way. One size only. 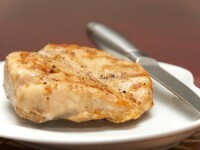 Body Builder Lean Chicken Breast-Online only! Enjoy with Herb Roasted Yams or Rosemary Potatoes…the traditional bodybuilder go to lean meal!